An important date for our 2017 federal income taxes is almost upon us; at least those of us who have taken advantage of the IRS’ six-month extension. The “final due date” for all 2017 federal income tax returns is this coming Monday, October 15, 2018. I take advantage of the extension most years, and this year, I sent in my final return in early August. Extensions give procrastinators like me some extra time to get our facts, figures and paperwork together. We simply have to file a form (IRS Form 4868) and pay any anticipated balance due with the request for extension; if we do not anticipate a balance, we simply file the form. October 15th is also the last date that you can re-characterize (aka undo) a 2017 Roth IRA conversion. 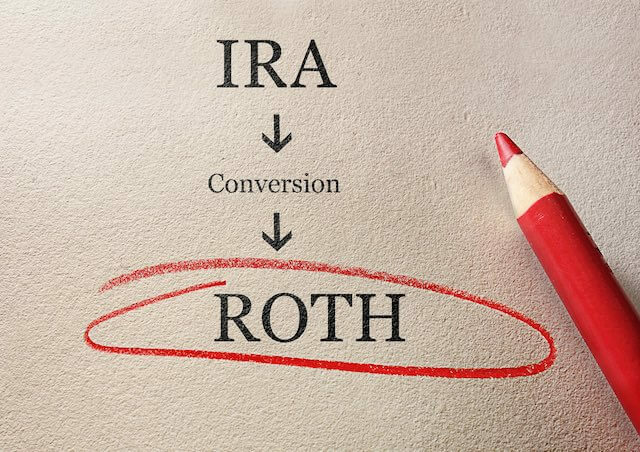 This only applies to IRA conversions, as we are not allowed to convert our traditional TSP to a Roth TSP. Thanks to the Tax Cuts and Jobs Act (aka tax reform), this year will be the last year that anyone will be allowed to re-characterize a Roth IRA conversion. Let’s look at why one would want to do so. One reason might be that the value of the Roth IRA dropped after the conversion was made. If you let the conversion stand, you would owe tax on the value of the IRA at the time of conversion. If you re-characterized the conversion, you would owe no extra tax. Do be aware that, if you undo a 2017 conversion and re-do it in 2018 or later, you will not be able to undo that conversion – ever. You’re also required to wait before re-converting a re-characterization. The wait is the later of 30 days after the re-characterization, or the year following the original conversion. If you’re going to re-characterize a conversion, requested an extension, and have not yet filed your 2017 federal income tax return yet, you need not do anything. You won’t owe tax on the conversion and won’t have to report it on your return – after all, you undid it. If you’ve already filed your 2017 income tax return and plan to re-characterize the conversion, you will need to file an amended return using IRS Form 1040X. A few comments on tax laws and “tax reform” in general; you never hear anyone saying that they have proposed “tax simplification”. Tax reform does not now, nor has it ever, simplified the tax law; it basically moves loopholes around in order to benefit certain segments of society. The segments that benefit depend on the party in power at the time of the tax law changes. It’s no wonder that many tax practitioners refer to the Internal Revenue Code as the “Attorneys and Accountants Full Employment Act”.